Hi Guys! ♥ I have a crazy awesome giveaway for you this month! You can win a $180 GIFT CARD to use at www.woodwatches.com! AND IT'S SO SUPER EASY TO JOIN & TRY YOUR LUCK! >>>> CLICK HERE to FILL OUT a simple form! IMPORTANT! The giveaway is now open and will run through 2/28/17 at 11:59pm. JORD company will randomly pick & email one lucky winner, who will get a $180 JORD e-gift card! I'm wearing the FRANKIE 35 series / Zebrawood & Champagne! These watches are so beautiful! Great giveaway -- I love that watch! Their watches are so stunning! I love the wood framing! Great post, I love that watch, looks amazing, thank you for sharing!!! 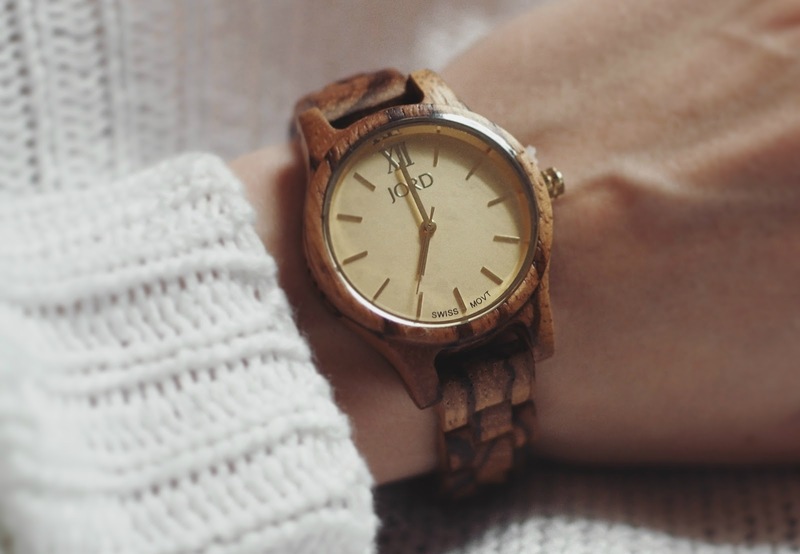 I don't really wear watches, but these wood ones look amazing. I have been seeing these Jord watches everywhere on social media and they look amazing! You carry it off well! Hey guys! I was wondering if anyone else had won the $180 giveaway? I was the lucky winner, but just out of curiosity wondered if there's really only one winner.